For many people, design is expensive, elitist and excessive – the layering on of unnecessary, strictly luxurious features that fancy-up otherwise basic objects. It's the difference between a Faberge egg and a Kinder Surprise – maybe nice, surely pretty, but undeniably extravagant. Design museums, fairs and expos, therefore, offer little of interest to many people. As institutions, they merely collect and showcase esoteric objects and are usually only frequented by design professionals and diehard fans. To disrupt this tendency, Toronto's Design Exchange (DX) museum is launching EDIT (Expo for Design, Innovation & Technology), a 10-day festival running from Sept. 28 to Oct. 8. Under the wildly optimistic theme of Prosperity for All, and with a diverse lineup of speakers, curators and thinkers (including doctors, economists, urban planners and musicians), it eschews the aesthetic to instead celebrate what design can do to solve the most pressing problems of our times and improve our lives – all our lives. EDIT was conceived by Shauna Levy, president and chief executive officer of the DX, and is part of her mandate to make design accessible to a broad, general audience. When she took over the leadership of the institution five years ago (after running Toronto's bustling Interior Design Show for 15 years), she immediately replaced the arcane with the populist. The first show she built from the ground up was This is Not a Toy, which focused on urban art and was co-curated with music icon Pharrell Williams (wearer of outrageous hats and writer of infectious pop hits such as Happy). Although the show drew crowds, it also taught her an important lesson. "We received many calls and e-mails from young adults asking us what the dress code was, simply because they had never been to a museum before," Levy says. "Too many cultural institutions are just simply not speaking to a large part of our population." Hence EDIT, which focuses on design's ability to help solve the biggest challenges of our time. "Beauty is important," Levy says. "But there's also some heavy lifting that design can be doing." To give EXPO a serious sense of purpose, Levy has partnered with the United Nations Development Programme, whose 17 Sustainable Development Goals form the backbone of the show. "The ultimate objective of the goals – which include zero hunger and quality education – is to eradicate global poverty and climate change by 2030," Levy says. "I see the goals as design challenges." And instead of a rarified gallery space (the Design Exchange's home is Toronto's financial district, in the city's former stock exchange), Levy chose the kind of site that wouldn't carry any preconceived baggage about who belongs and who doesn't: East Harbour, a disused Unilever soap factory on the edge of a major highway, the Don Valley Parkway. She hopes that visitors find the raw, unpretentious setting – with its backdrop of old industrial equipment and exposed duct work – "welcoming and an experience in and of itself." With a something-for-everyone approach (including activities just for children), the show is huge. To help navigate the four-storey, 150,000-square-foot event, here are six of EDIT's highlights for six different tastes. EDIT's final event, on Oct. 8, will be the Toronto edition of Feeding the 5000, a global series launched in 2009 by London-based charity Feedback that focuses on reducing food waste. Hosted by Food Network star Bob Blumer, a free meal, made from ingredients that would otherwise be put in the trash, will be served to anyone in attendance. Inspired by EDIT's theme, Prosperity for All, London-based artist Moritz Waldemeyer (who worked on the closing ceremonies of the Rio Olympics and designed a jacket for pop star will.i.am) has created an interactive field of LED lights that literately illuminates the ways tax rates for different income groups impact society. Viewers can use a touch pad to change our tax rates, modulating the intensity of the light. During the festival, more than 125 speakers will cover a range of topics. Familiar names include environmentalist David Suzuki and musician and Metric lead singer Emily Haines (who will be talking about creating a better future for women and girls). The lesser-known names, though, are equally interesting, such as Dutch artist Daan Roosegaarde, who is researching ways to compress air pollution into solid objects such as rings and cufflinks. The show based around EDIT's central theme, Prosperity for All, contrasts harrowing photography of global conflicts (famine, natural disasters) by Magnum photographer Paolo Pellegrin, alongside design solutions helping to mitigate such conflicts (ways to clean up the air and oceans, boost economic activity in under-serviced communities). It is curated by Canadian design legend Bruce Mau, co-founder of the Massive Change Network and chief design officer at Freeman. "Designers are not operating in some utopia," Mau says, "disconnected from the conflicts and violence that is happening simultaneously … we are collectively working to solve the great challenges that we face." Curated by Canadian physician and scientist Julielynn Wong, Care looks at how design and technology (drones, 3-D printing) is making health care more affordable, accessible and humane. 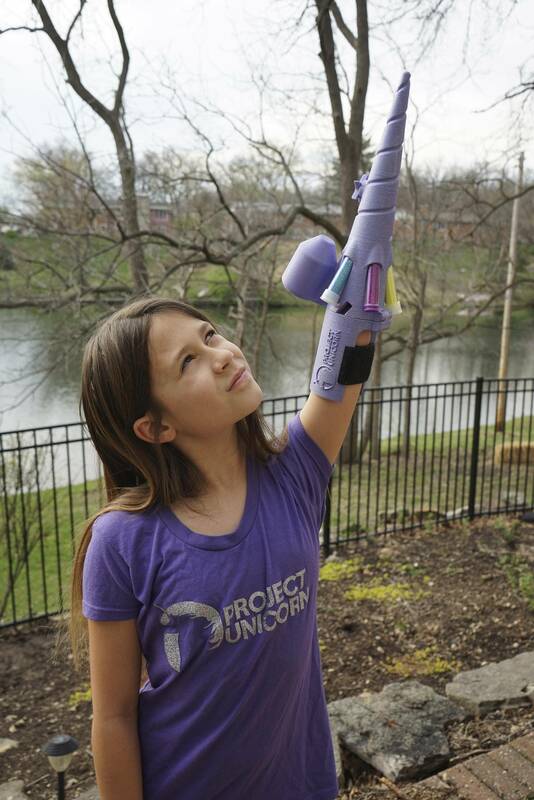 The exhibit includes Project Unicorn, a whimsical, glitter-shooting prosthetic co-designed by Jordan Reeves, an 11-year-old whose arm stops just above her elbow. "Today's digital world has the design, innovation and technology resources to better the health and well-being of people around the globe," Wong says. 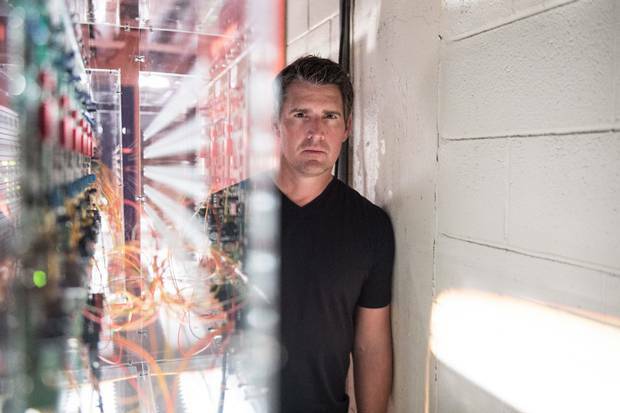 "Thinking big can have a positive impact on billions of lives." EDIT isn't just for adults. "I'm particularly proud of our youth and kid's programs," says Levy, including ACTUA's Innovation Station. Taking place during the opening weekend, the hands-on exhibit enables young ones to learn the basics of coding, build their own robots and make musical instrumentals. EXPIRY DATES is a two-work series by Artist Dennis Kavelman that challenges the viewer to confront their own mortality. For ticketing information and schedule, please visit: editdx.org.